Banksy jest najsławniejszym na świecie artystą graffiti, jego dzieła na aukcjach sztuki osiągają zawrotne ceny. Artysta używa różnych technik do osiągnięcia swoich celów, które są najczęściej humorystyczne lub związane z polityką. Artistic genius, political activist, painter and decorator, mythic legend or notorious graffiti artist? 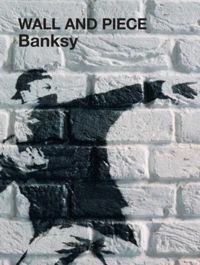 The work of Banksy is unmistakable, except maybe when it’s squatting in the Tate or New York’s Metropolitan Museum. 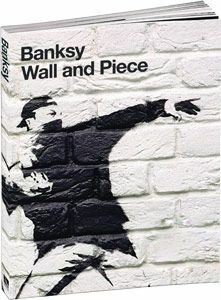 Banksy is responsible for decorating the streets, walls, bridges and zoos of towns and cites throughout the world. Witty and subversive, his stencils show monkeys with weapons of mass destruction, policeman with smiley faces, rats with drills and umbrellas.If you look hard enough you’ll find your own. His statements, incitements, ironies and epigrams are by turns intelligent and cheeky comments on everything from the monarchy and capitalism to the war in Iraq and farm animals. His identity remains unknown, but his work is prolific. Here's the best of his work in a fully illustrated colour volume – including brand material.